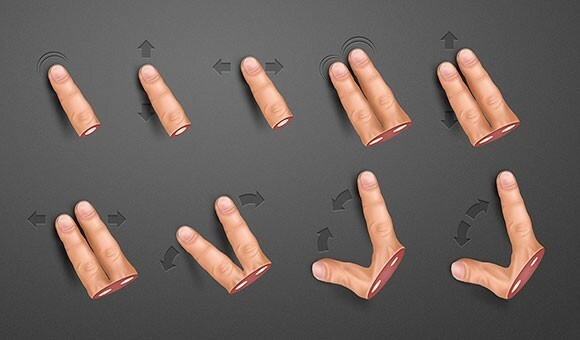 Human finger gesture pack. 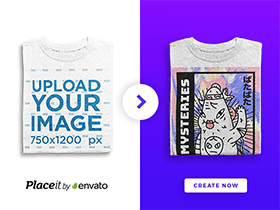 A PSD freebie designed by Patrick van Tilborg. Posted on November 3, 2012 November 14, 2012 in Free PSD, Miscellanea and tagged gesture, fingers, human. This post has been viewed 5662 times. A set including more than 100 touch gesture icons based on vector shapes and presented in multiple formats: AI, EPS, CSH, PSD, PNG and SVG. Here is a set including 12 useful hand gesture icons designed with Photoshop. Free PSD created and released by Abdus. 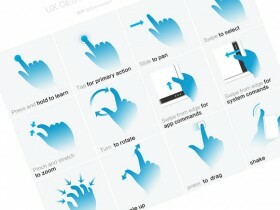 Here is a set of 12 illustrated gestures that you can find useful for explaining what your app can do. Free PSD created by Gaoyoungor. Touch Gesture Icons includes 30 most popular gesture icons for multi-touch devices. PSD and EPS vector files.